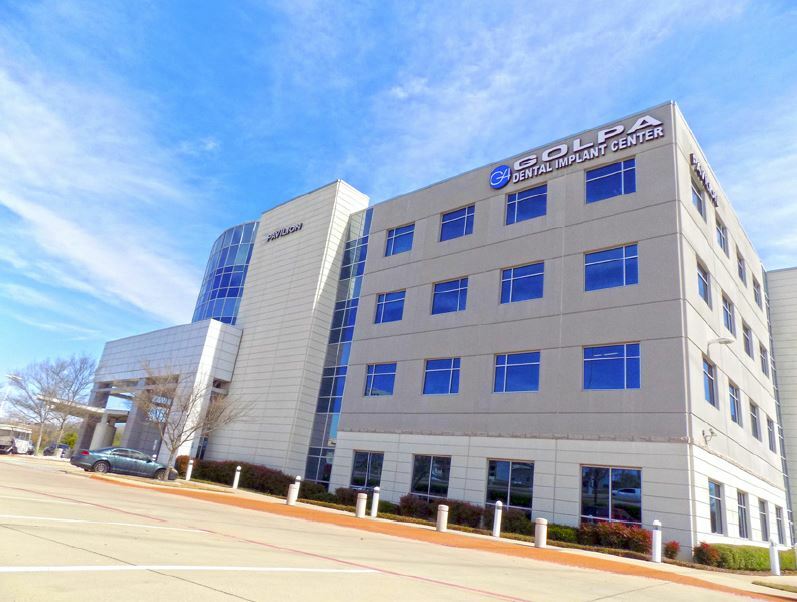 DALLAS, TX – Mohr Partners announced today that it has closed a deal representing Golpa Implant Center, the largest dental implant center of its kind. Golpa’s new location will be located at 12222 North Central Expressway in Dallas, Texas. The Golpa Implant Center is home of the G4 Implant Solution, developed by Dr. Golpa and his team. Corbin Bengston of Mohr represented Dr. Golpa in the deal. “Finding a Class A facility in a central location with a high-visibility were the most important factors in selecting this site”, Corbin describes. “The new Implant Center features state-of-the art technology and offers a Zen-like feel with high-end finishes and a 10’ x 10’ water-wall feature,” says Mohr’s Senior Project Manager, Tim Sullivan. Dr. Golpa’s clients can now take advantage of his patented process right here in Dallas, for a beautiful new smile with just one visit, one dentist, and one clinic. “I thoroughly enjoyed my working relationship with Corbin. Finding the perfect location comes with challenges, and our team effort ultimately uncovered the best Central U.S. location to serve our customers. I look forward to working with him again in the future.” says Dr. Golpa. The transaction was completed in December of last year. Dr. Golpa’s lease is with Healthcare Trust of America, Inc.
Corbin Bengston is a Director in Mohr’s Dallas office. His primary focus is office and industrial space users with multiple locations throughout the world. Corbin’s main goal is to ensure his clients’ interests are well represented in every transaction he completes.